As we look at this final part of the fifth scene in the book of Revelation (Revelation 15: – 16:21) we must keep in mind that there are eight scenes altogether and each scene provides a complementary and exciting angle about the age we’re living in, which is the Gospel Age, between the first and second coming of Jesus Christ. We, who have faith in Jesus, have received the Gospel message and have been born again. Now we’re waiting for the return of Jesus with great joy. But those who aren’t in Jesus need to fear the day of his return as there will be a time of great judgement. At every scene we look at in the book of Revelation, we see it show the same thing but from a different angle, and encourage us to hold on and keep our faith. We have a responsibility in this process of the Gospel Age – God has given us an incredible Gospel and his incredible Word so we know what to do in times like these – the times of tribulation we see in the book of Revelation. Last week we saw God’s anger towards sin and anything evil. What we’re seeing here is a behind-the-scenes look at what affects world affairs. When we see Anti-christ governments rise and take control. The harlot and the beasts influence this world. We see if more clearly in countries where people have never even heard the name of Jesus. We looked at the first four bowls from Revelation 16, now we will look at the remaining three. In this section we are going to talk about the wrath of God. It’s amazing how we misunderstand this and sometimes have a very one-dimensional approach to God. For some people today, God is just about wrath, taking great delight in residing over the ant farm of the earth and squashing us all day long. Meanwhile, others believe that God is so sweet and that it doesn’t matter what’s happened or what he has written in his word, we’re all going to live in a wonderful eternity with him on our cloud with our harp (and an eternity of boredom). In this part we’re looking at the fifth scene in the book of Revelation (Revelation 15…). 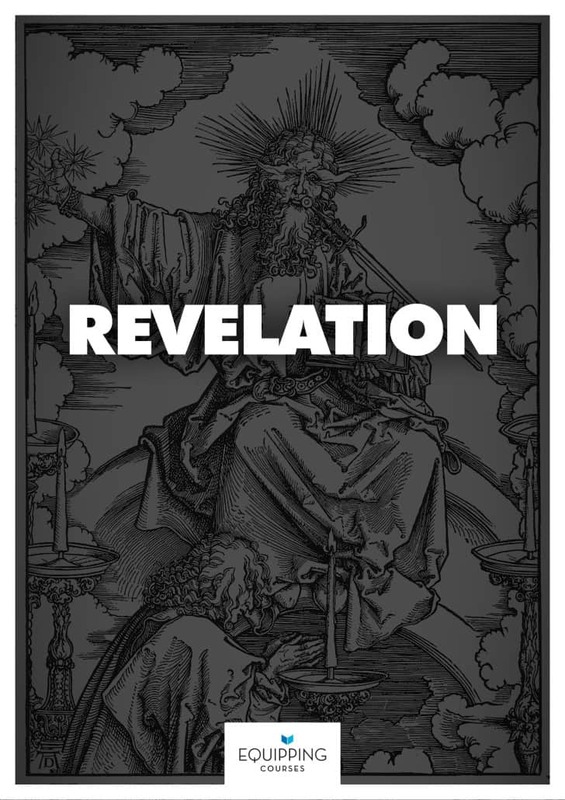 Before we get into the details, let’s back up a little bit and remember the structure of the book of Revelation and its context. John the Apostle is exiled on the island of Patmos and while praying for the seven churches (at the beginning of the book) the Lord gives him a revelation of these churches and a revelation of what believers can expect until the end. So the book is basically preparing us for the end. So Revelation covers what happens from the first coming of Jesus to his second coming, telling us what we are meant to be doing today – the present Gospel Age. The book of Revelation has to mean something to us today. Jesus, through dying on the cross has given us the Gospel, the good news that you don’t have to be punished for your sin because he was punished for you. It’s only through the Gospel that we can face the second coming in confidence, faith and peace. The book has eight scenes overall and in each there is a change of scenery, like at a play. Each scene also has seven “somethings” – starting with the seven churches, moving to seven seals of a scroll, seven angels blowing trumpets of warning and now seven bowls of wrath. The bowls / plagues of wrath come after the trumpets as the trumpets were about God’s warning that goes out. Last week we looked at the beasts in Revelation 13. The first beast which rises from the sea represents pagan government while the second best, which rises from the earth, represents false religion. False religion tries to stick as close to the truth as it can but is always a degree or two off. It uses deception, false signs and wonders. It’s important to note that we’ve attached all kinds of sci-fi and myth and fantasy to what these beasts mean, but they’re simply about pagan government and false religion uniting against the saints. This section we’re dealing with right now, Revelation 11:19 to 15:4, is all about “seven visions of victory”. By the end we see how all these weapons of the enemy fall to pieces and God’s people are victorious in Jesus. We see in Revelation 12 that the enemy first tries to destroy Christ but fails and is cast down to earth. Now in his cast-down state, he is waging war against you and I and he uses these beasts of pagan government and false religion to wage his war. In many countries people are dying for Christ under pagan government. When that meets false religion all hell breaks loose. Those who follow these two beasts and are caught up in them, refusing to believe in the Gospel, are represented by the number ‘666’ – a code for the height of human evil. The Illuminati and those kinds of secret societies are not the beast. This scripture shows us that behind the governments of the world there are controlling forces like mammon (the love of money) which takes a lot of people captive. But in line with that there’s a third weapon that the enemy uses against us and that is the harlot (or Babylon). When most Christians see ‘666’ they think of the Illuminati or the Pope or some or other person secret organisation that this could be referring to. There are so many different characters who could fit the 666 bill, but we want to debunk all of that and bring in Biblical truth. The Illuminati don’t feature in Scripture but only in fiction and imagination. 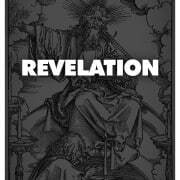 The key issue of the book of Revelation is the interim period between the first coming of Jesus and His second coming. The first coming is all about Jesus, the Lamb of God, dying on the cross and becoming our sacrifice for sin. Through Him and in Him we are able to face the second coming without there being a punishment for our sin. For believers in Jesus, this second coming will be a time of reward. But if you have not received the sacrifice of the Lamb, you are going to have to endure the wrath of the Lamb at the second coming. Revelation shows us, in real terms, the difficulties of life. We see this as we look at the context it was written in. The systems of this world bite us, chew us and spit us out. So how do we live in the present time before the second coming, which we are calling the Gospel Age? That’s the question this book is answering. Dr. Michael Eaton visited Cornerstone Church in July 2008 and again in August 2009 to preach through The Whole Counsel of God series. This is an excellent systematic theology series rich in biblical exposition that serves as an overview of the beliefs that define our Christian faith.